Have you ever had that moment when there is a smell in the air and it floods back a hundred memories? It’s amazing to me how a smell can slip you right back in that moment as if you were really there living that event all over again. I’m actually having that moment right now. While typing this blog I’m wearing a sweatshirt (that I quickly grabbed off my bedroom floor) that has my husbands cologne on it. Every, and I mean EVERY morning before Kent leaves for work he gives me a hug and kiss, even when I’m asleep. Then he proceeds to tell me he loves me and he hopes I have a good day. My hug this time must have came directly after his fresh sprayed or pat of cologne. I love it. Makes me think of our dating years…..
Rudy Raccoon just woke up. His morning routine; snuggle up with me on the couch, tell me to change the channel to either Ninja Turtles, Ninja Legos or Micky Mouse. Micky Mouse is the winner this morning (thank goodness, I can only endure ninjas for so long). Rudy will literally get nose to nose with me to communicate this first demand of the day. Nose…to…nose, not even morning breath from a 2 year old is nice. But, for some odd reason his doesn’t bother me, I like it. Gross I know, I think it must be a mother thing. I had another smell remind me of my dad the other day. This old grumpy gentleman knocked on my door and wanted me to sign some sort of petition. He was talking and explaining things to me about the petition and I didn’t even hear a single word he said, because I was so distracted by his aftershave/cologne. It was Jovan Musk. I just knew it was, so I asked him. He instantly gave me the “stink eye” as if I offended him by his cologne choice. 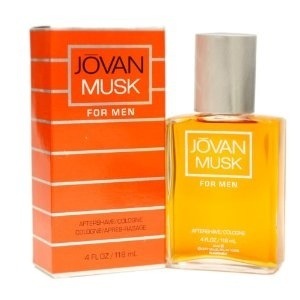 So, I quickly explained to him, Jovan Musk is one of my favorite colognes. He soon became flattered and kinder. I still love it!!! Whenever I smell it, it puts me right back in the back seat of the family station wagon with my three sisters on a Sunday morning going to Moscow Bible church. Dad freshly shaved, his hair combed with the black single toothed comb that he always held in his left back pocket. I, also remember going into my parents bathroom and seeing dads cologne. I would gently open the bottle and take a big deep breath in and sometimes I would get it on my nose just so I could smell my dad all day. These are old memory triggers and some still frequent. 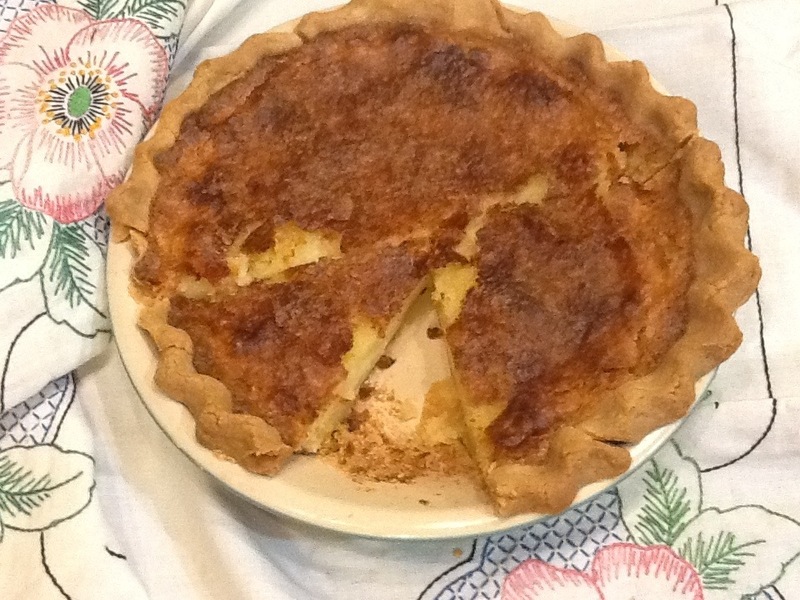 Like the smell of Nellie baking dad a custard pie is so cozy and sweet smelling it just draws me back home begging for a piece. 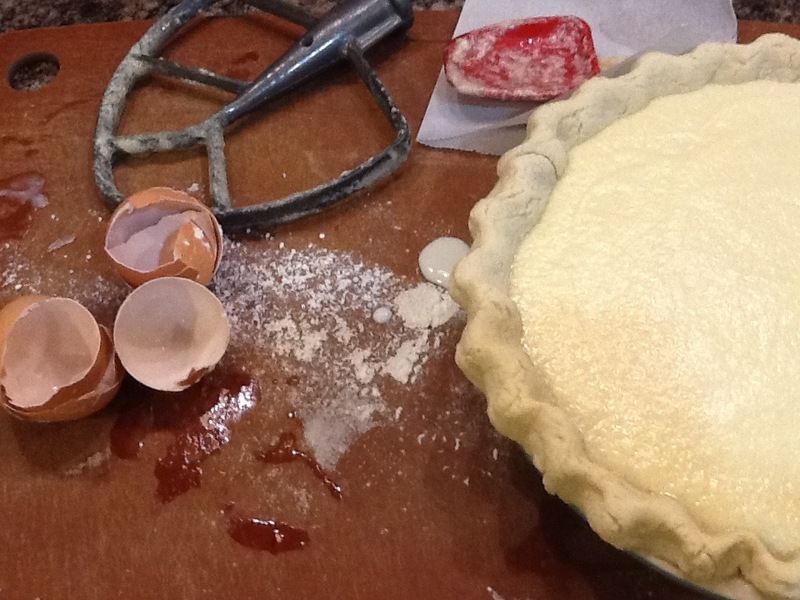 When I made this buttermilk pie the smell of it baking flooded back all those memories of my mother asking dad before he walked out the door, what kind of pie she should make? It seemed to be either custard or pecan pie for his request. So, whatever he wanted she made it. Every time! 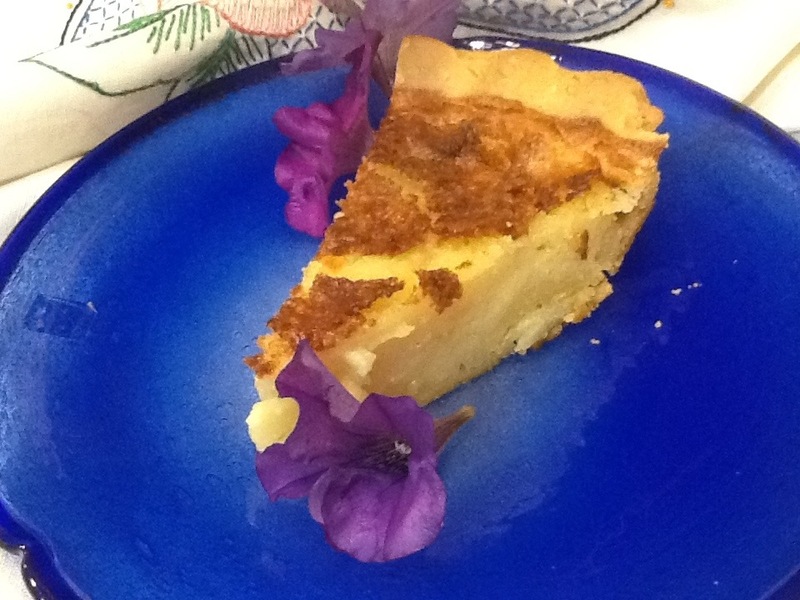 This buttermilk pie isn’t a custard pie but it smelled similar when baking. 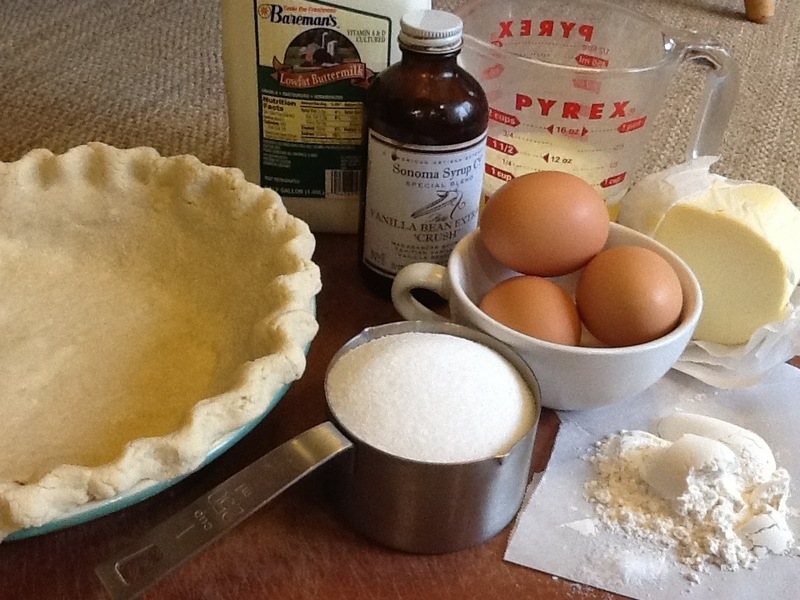 This is a unique pie these days but, very common in the Amish community.There are a lot of varieties of buttermilk pie recipes out there. Some with lemon, pineapple and plain. Plain is what I decided to do. This is a keeper in my recipe box and I hope you all try it at least once. Let me know what you think! 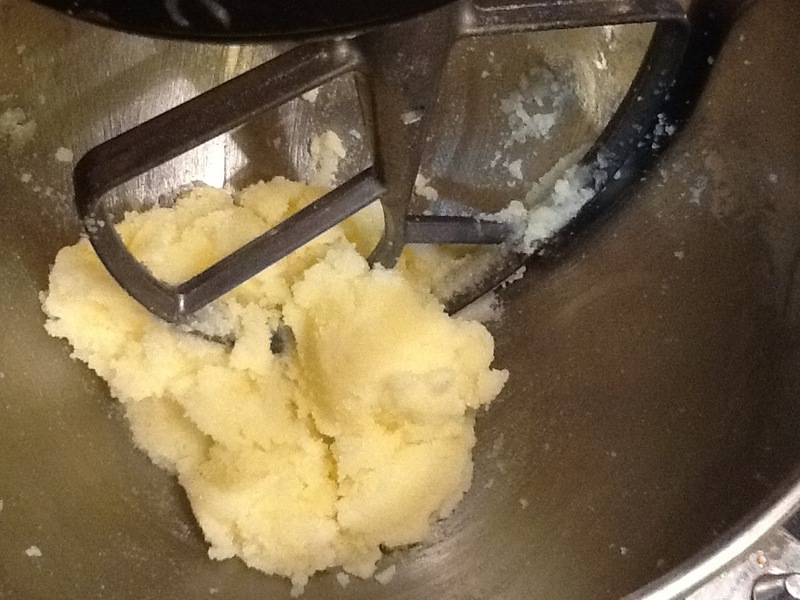 Beat the melted butter and sugar until pale. Scrape the sides. 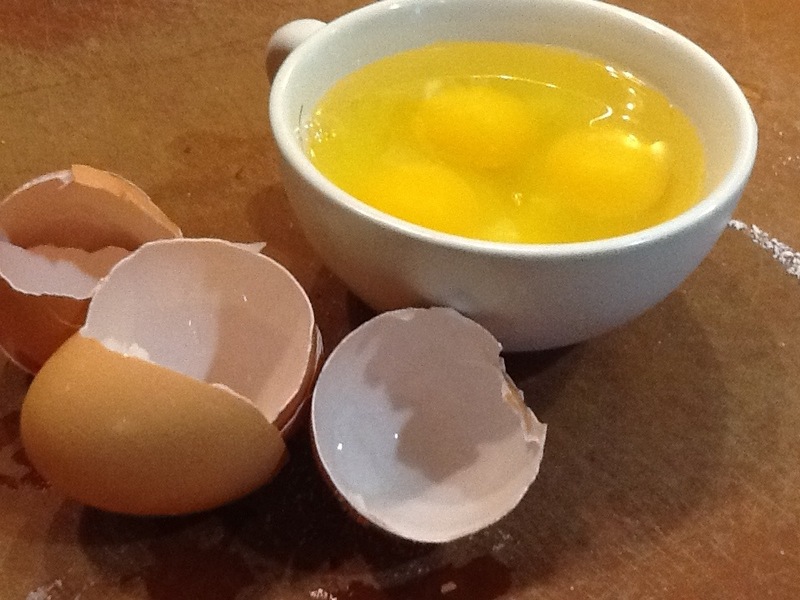 Add eggs one at a time. Cool completely, or at least until room temperature. Preheat oven to 400°F. Beat the butter and sugar together until light and fluffy. 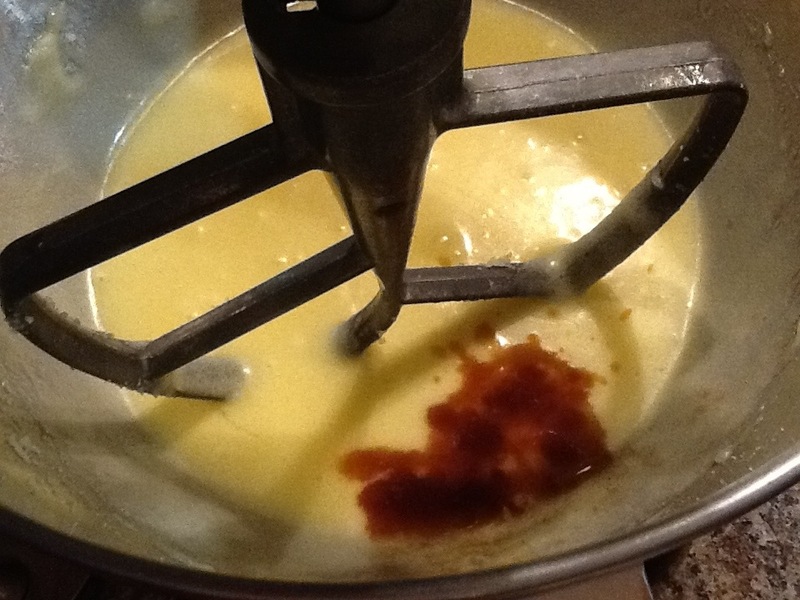 Add the eggs and beat; then beat in vanilla. 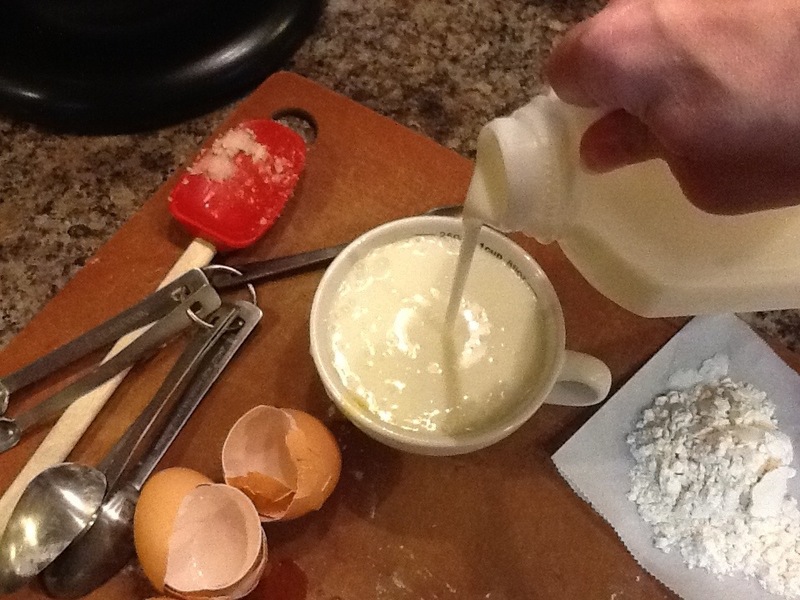 Add the flour and salt to the batter alternatively with the buttermilk; beat until smooth. 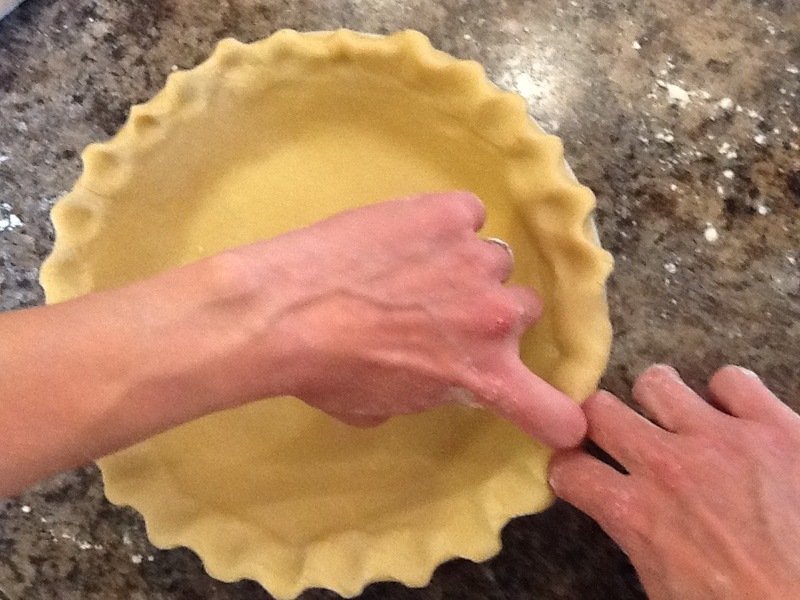 Pour into a deep dish pie shell and bake at 400F for 10 minutes, reduce heat to 350F and bake for 50-60 additional minutes. 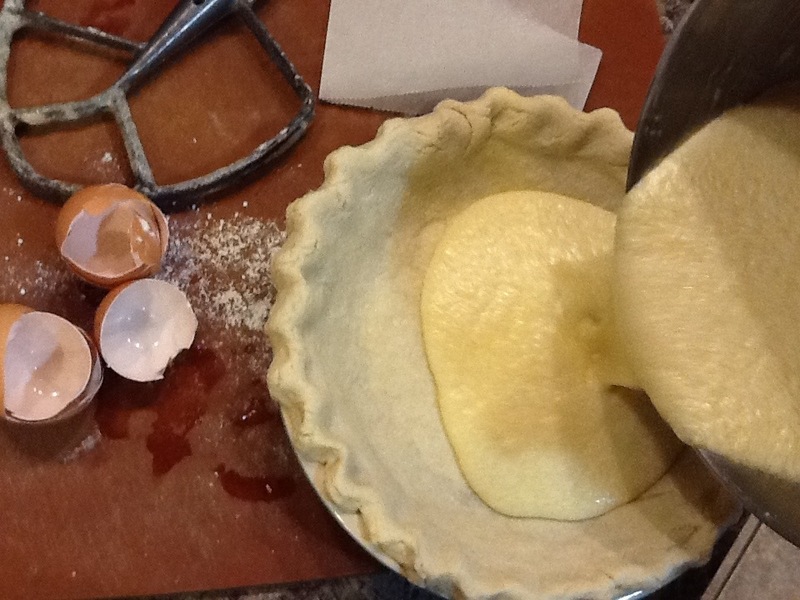 Pie should turn a nice golden brown and a knife inserted should come out clean. Enjoy! I just love your senses and how you use them! I love you sister number 2. You have been doing so good on this blog. I love reading them. Maybe u could write a blog on something old fashion, a food. I love that the smell of snot reminds you of me 😛 every time I see a stargazer lily I think of you! Too bad we don’t have fresh buttermilk here..I want a piece of pie! 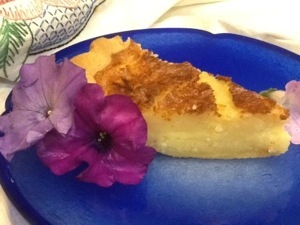 Now that pie looks like some good old fashion comfort food…kinda like bread pudding is for me. And ew Becky!!!! Or should I be saying ew Tahny???? Oh, that Jessica Perfume reminds me of you! Remember when you put some in a little bottle for me? ?